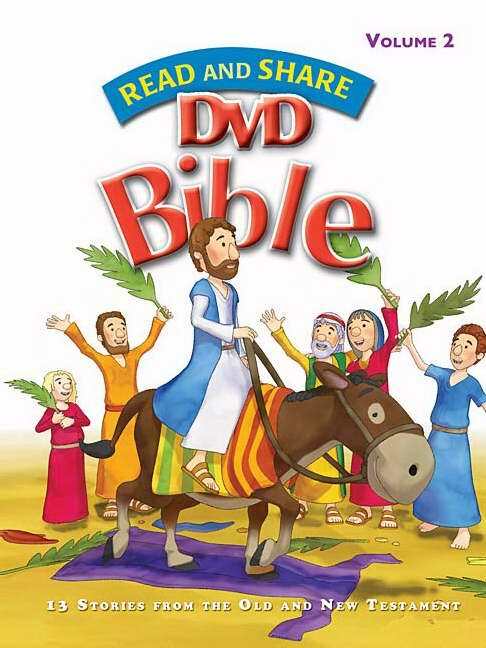 Share the joy and wonder of God's Word with the children in your life. Thirteen essential lessons of scripture starring the Bible's best-known characters. The Read And Share Bible on DVD combines an enchanting art style with a warm narrator and gentle musical underscore to transport kids back to Biblical times. The bite-size vignettes are perfect for the attention span of little ones and give parents maximum flexibility to fit any time-frame. Stories include: Joseph and His Brothers, Moses, Ten Commandments, Balaam's Donkey, First Lord's Supper, Resurrection and the Holy Spirit. Read And Share Volume 2 DVD by Thomas Nelson Publishers; Gwen Ellis was published by Thomas Nelson in August 2008 and is our 10451st best seller. The ISBN for Read And Share Volume 2 DVD is 9781400313044. Be the first to review Read And Share Volume 2 DVD! Got a question? No problem! Just click here to ask us about Read And Share Volume 2 DVD.